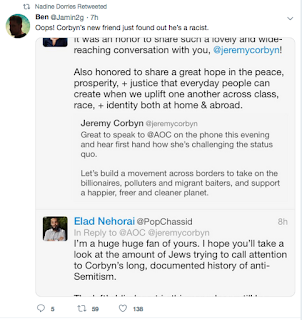 After the Tories found one of their local Young Conservatives officers indulging in blatant Islamophobia earlier, there did not seem to be as much as the flicker of an eyelid in response. 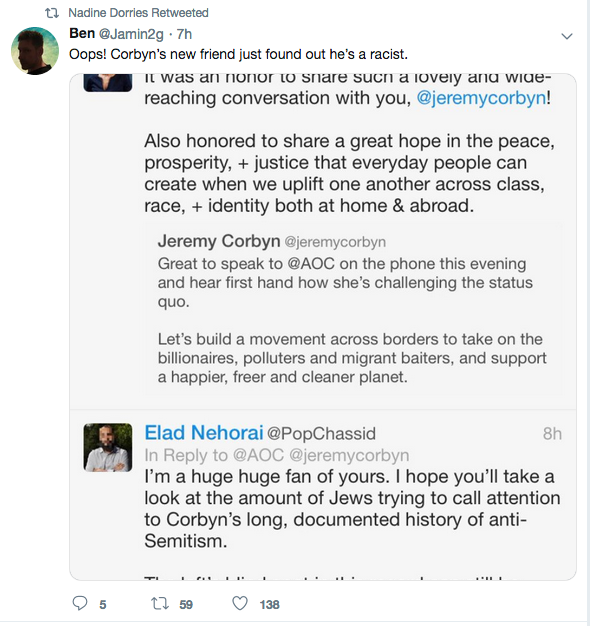 Then came evidence that Islamophobia is not merely present in The Blue Team, it is so endemic that the party is past caring about it. 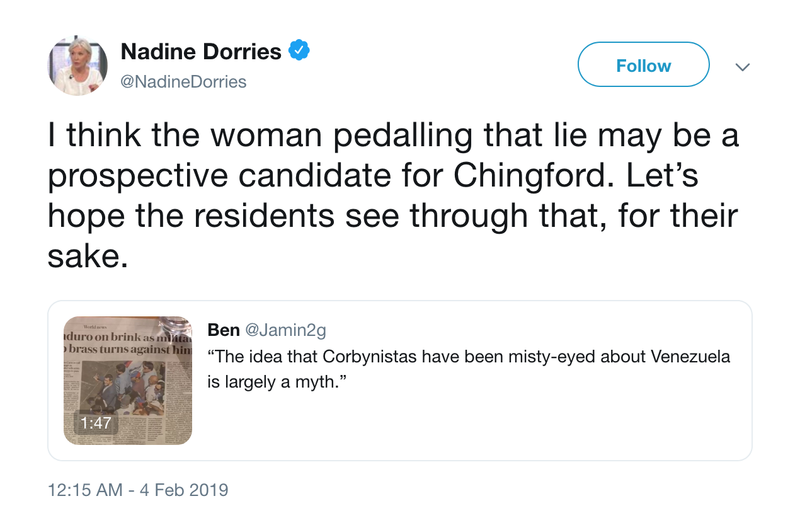 As so often when it comes to causing her own party maximum embarrassment, the one opening mouth and inserting foot in no style at all was Mid-Bedfordshire’s representative (yes, it’s her again) Nadine Dorries, who early this morning told her followers “I think the woman pedalling that lie may be a prospective candidate for Chingford. Let’s hope the residents see through that, for their sake”. 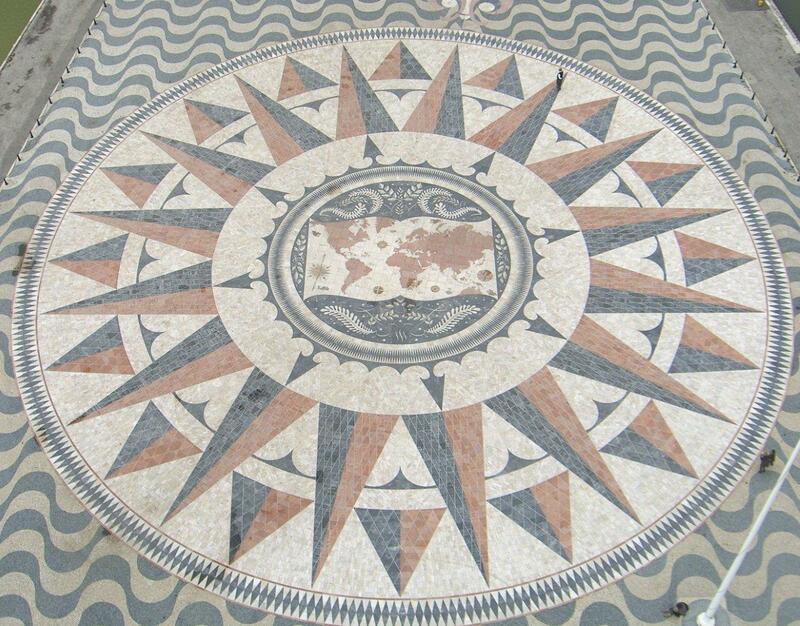 But here a problem entered. 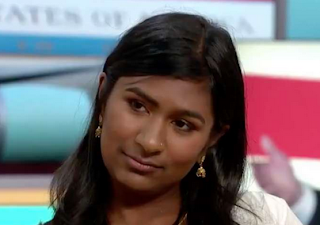 Her target was Ash Sarkar, who had appeared on the paper review panel of The Andy Marr Show™ yesterday. 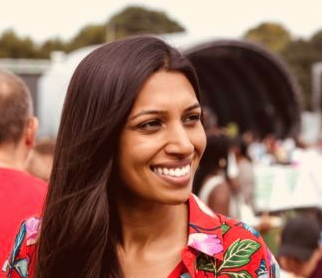 But Labour’s PPC for Chingford is Faiza Shaheen. They are not the same person. Nor do they look remotely like one another. But they are both brown. The condemnation was swift, but few who did so were surprised. 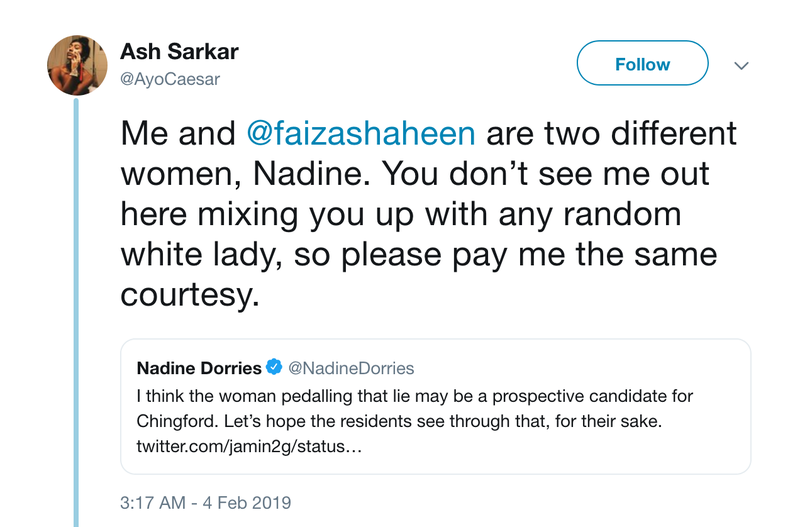 Then, after Ms Sarkar shot back “Me and @faizashaheen are two different women, Nadine. 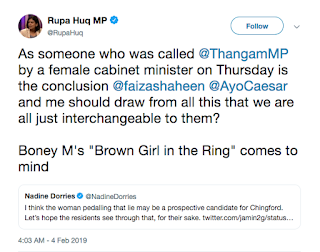 You don’t see me out here mixing you up with any random white lady, so please pay me the same courtesy” and Labour MP Rupa Huq revealed “As someone who was called @ThangamMP by a female cabinet minister on Thursday is the conclusion @faizashaheen @AyoCaesar and me should draw from all this that we are all just interchangeable to them? 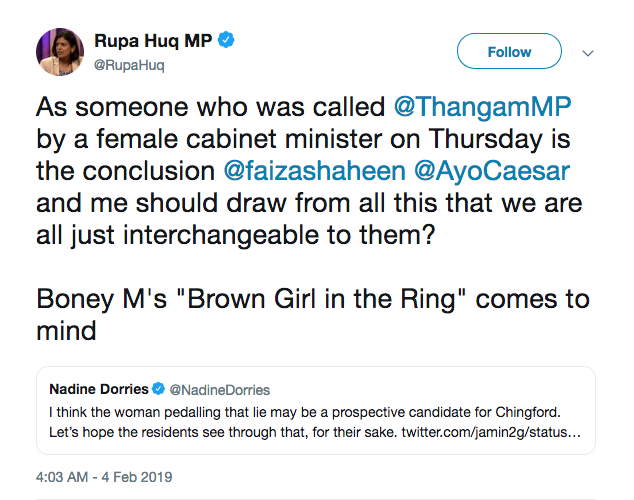 Boney M's ‘Brown Girl in the Ring’ comes to mind” came more. First, Ms Dorries’ source for her initial giveaway gaffe (also used as a source by the perpetually thirsty Paul Staines and his rabble at the Guido Fawkes blog, a borderline Fake News site) turned out to be a sad, whinging Tory propagandist peddling such defamatory drivel as “Oops! Corbyn’s new friend just found out he’s a racist”. Then came proof from Miqdaad Versi of the Muslim Council of Britain that Ms Dorries has a recent history of Islamophobia (see thread HERE). 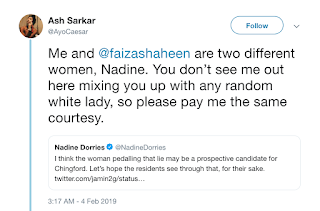 It made grim reading: “why did Nadine Dorries spread a nonsense story from 2008 by an Anne-Marie Waters supporter, who considers Tommy Robinson to be a ‘truth teller’ (before deleting)... It is worth noting it was about Muslims”. That was just a sighting shot. 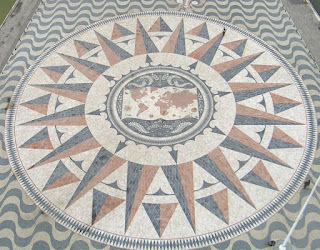 There was much more. “When Sadiq Khan talked about hate crime, Nadine Dorries had the audacity to ask him about grooming gangs … [she] was disappointed that Boris' de-humanising comments about Muslim women who wear the burqa being ‘bank robbers’ and ‘letterboxes’, ‘didn't go further’ … [she] believes that Muslim women choose clothing to ‘hide...her bruises’ - the accusation of domestic violence & linking to a burqa, is astonishing”. 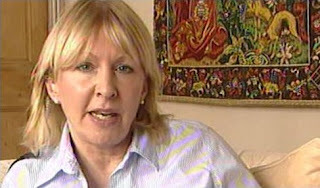 Ms Dorries “plays to another false far-right stereotype, linking FGM to Muslim women … believes that ‘vote rigging / organisation in *Muslim communities* by named ringleaders is commonplace’”. Also she Retweeted Stephen Yaxley Lennon, who styles himself Tommy Robinson, before hastily deleting it. There can be only one conclusion. Nadine Dorries has an Islamophobia problem - as well as a penchant for seriously unreliable sources and what looks like sympathy for the far right. She is another part of the Tory Party’s problem with Muslims. And remember, they allowed her to become an MP. "borderline Fake News site" - what's borderline about it?